We offer portable sawmill services, including Alaskan chainsaw milling, to our southwest Michigan service area; we bring our equipment to you, and make lumber from your logs. Contact us for a quote. 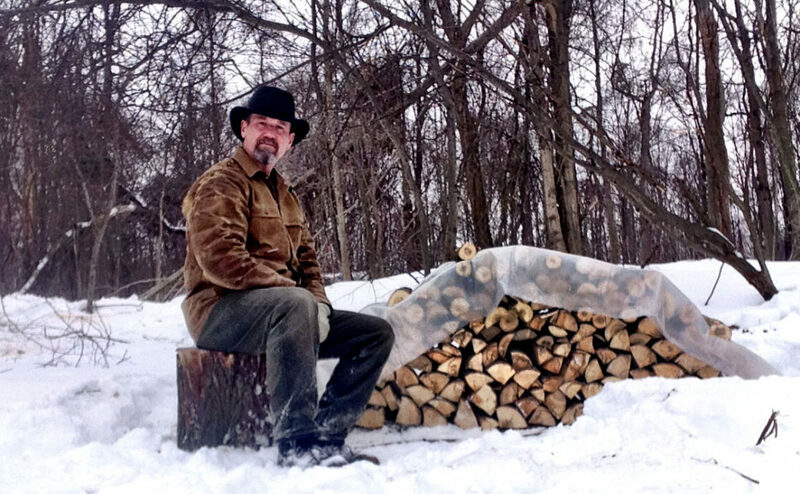 Our sawmill service business was borne from our own home’s needs. After purchasing our home, we quickly decided that the green indoor/outdoor carpeting (reminiscent of Astro Turf) needed to go. Researching hardwood floors online was a wakeup call. For recycled barnwood flooring, or what John calls “engineered hardwood” flooring, we were looking at a minimum of $7 per sq. ft., or about $14,000, before installation for our 2,000 sq. ft home. Installed, the cost was about $20,000. Combine this sticker­ shock with the fact that we live in 50 acres of Beech – Sugar Maple forest, and you have the seeds of our plan for using our own resources to realize our dream of hardwood flooring. Trees naturally fall in the woods all the time, so we saw no need to cut down trees for the flooring. The idea for a milling business started with research into what it would take to go from trees in the forest, to logs on the ground, to finished flooring in the house. This involves felling the tree (if otherwise necessary), bucking the main stem, or trunk, to length, milling the logs into 1-inch thick boards, air drying, kiln drying, planing the boards to the final 3⁄4 inch thickness, putting the tongue and groove on the boards, installation, and finishing. It became apparent that even when buying most of these services locally, we could still realize significant savings, and take great enjoyment in having furnished our home with the product of our woods. The trade­ off is time. 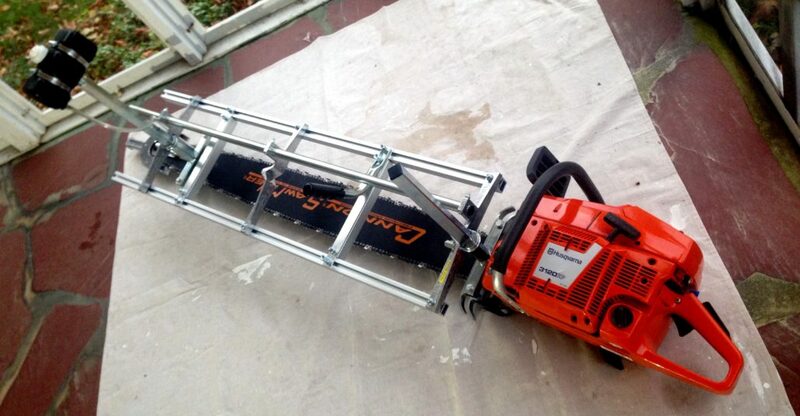 Ours is a portable sawmill services business. The mill will be taken to customers who have logs, and the logs will be milled at the customer location. Moving big logs around requires heavy equipment, and it is expensive relatively speaking, especially if the quantity is small. Customers can be, but are not limited to, homeowners, farmers, artisans, tree service companies, etc. We can and do saw every kind of tree in a variety of lengths, widths, and thicknesses. This includes rafters • floor joists • plates • studs • purlins • ridge beams • headers • blocks • knee braces • king posts • trusses • facia boards • soffit trim • support girders • sills • beams • siding — lap, clap­board, board and batten, • chairs • desks • tables • clocks • dressers • beds • nightstands • chests • jewelry boxes • hutches • china cabinets • stereo stands • entertainment centers • shelves • vanities • casing • baseboard • chair rail • cove moulding • half round • quarter round • crown moulding • doorstops • doorjambs • and wainscotting • etc! Your imagination is the only limitation. 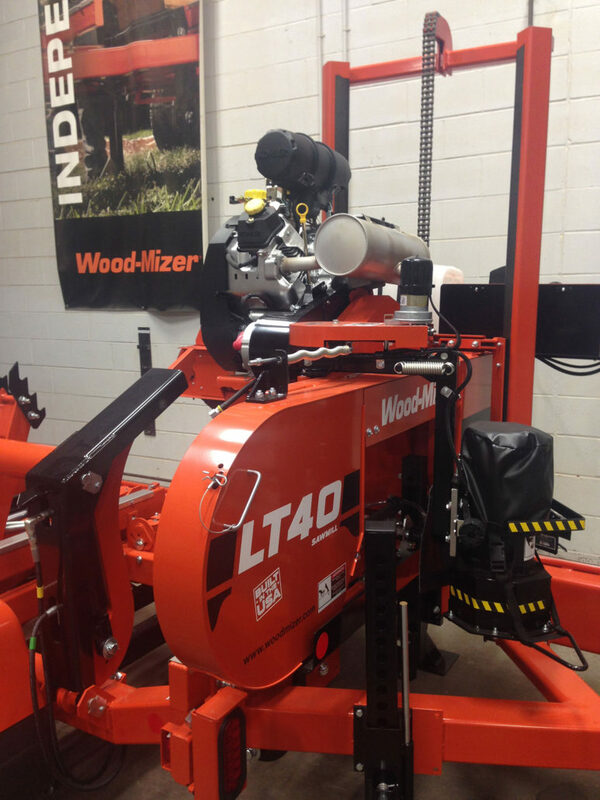 Our tool of choice for milling dimensional lumber is a Wood­Mizer LT40HDG35 Hydraulic; it is probably safe to say that this is the industry standard, and Wood-­Mizer invented the portable sawmill in 1982. The mill includes several optional features, and is powered by a 35 hp Kohler engine. For slabbing of logs larger than 24 inches in diameter, or to breakdown large logs for further processing on the Wood-Mizer, we have selected a 48 inch Granberg Alaskan MkIII Milling Attachment, paired with a Husqvarna 3120XP chainsaw powerhead.